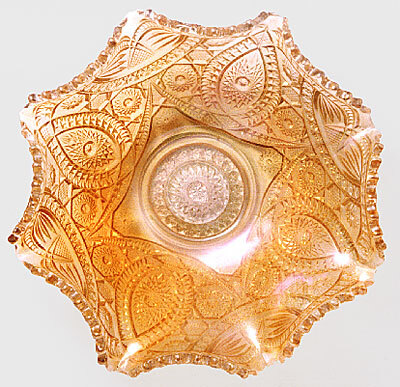 The name is derived from hobstars in pointed oval shapes. 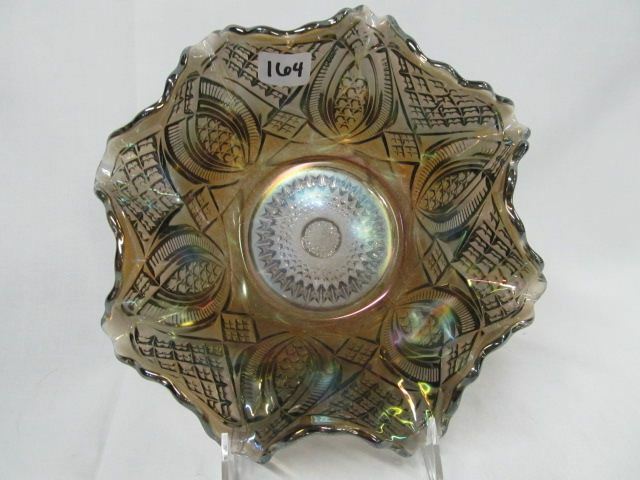 Similar to Imperial's Diamond Ring pattern which does not have the hobstars but does have larger diamonds at the ends of the ovals. 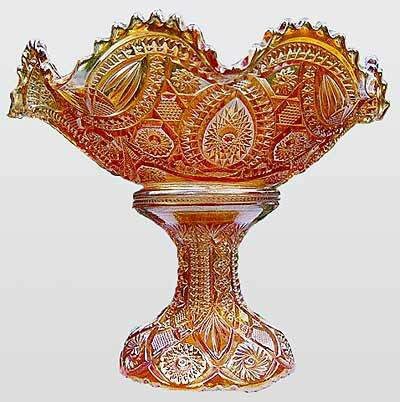 Imperial paired the bowls with various bases and promoted and sold them as fruit bowl sets. 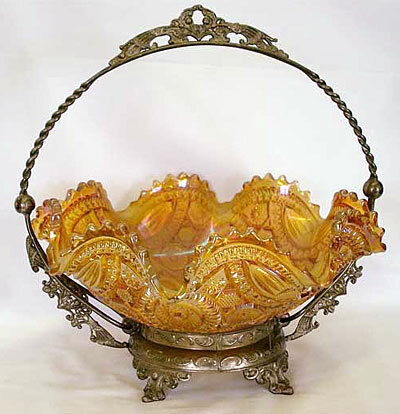 The base above is normally seen on the Twins fruit bowl, and the other base normally seen is normally used for Fashion punch bowls. 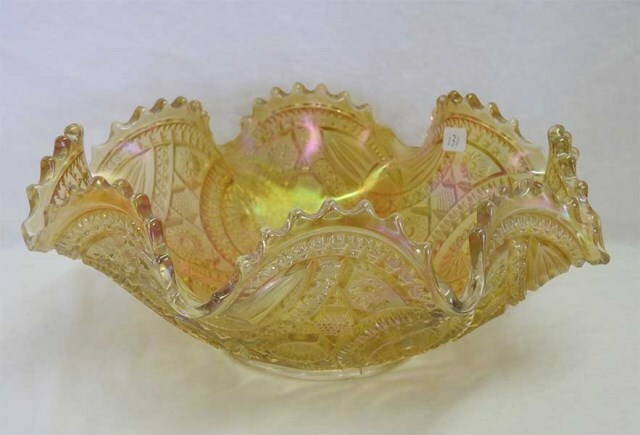 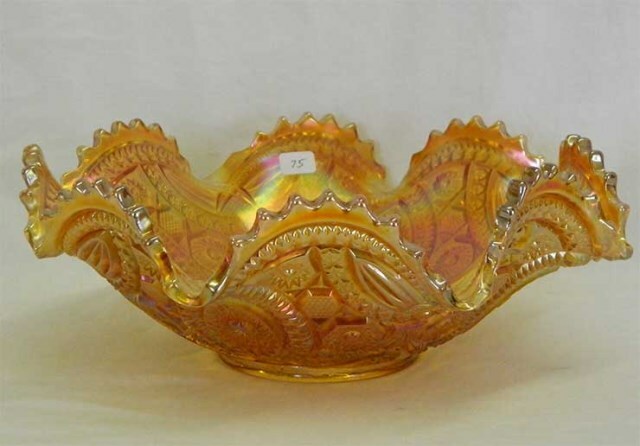 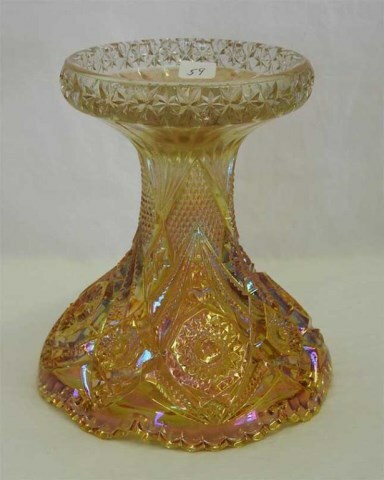 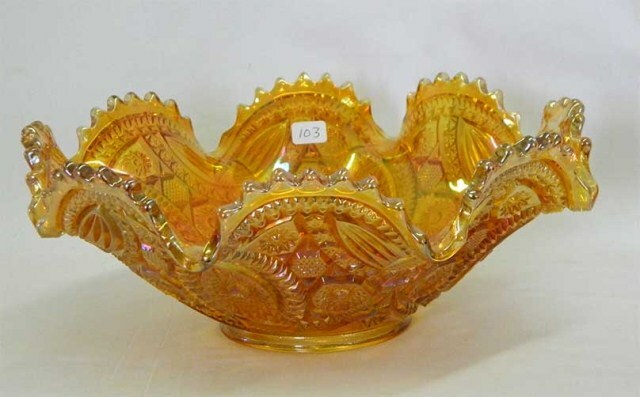 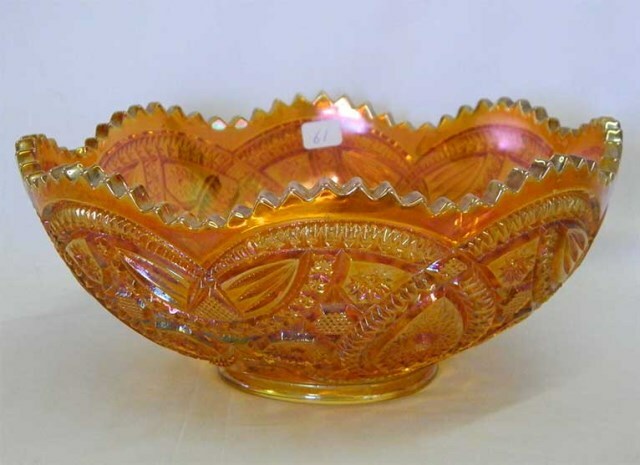 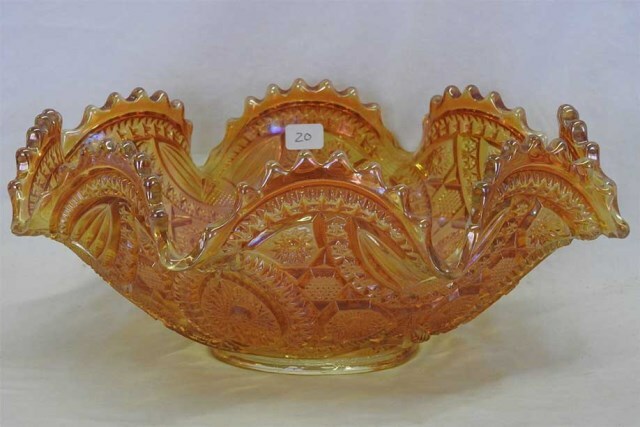 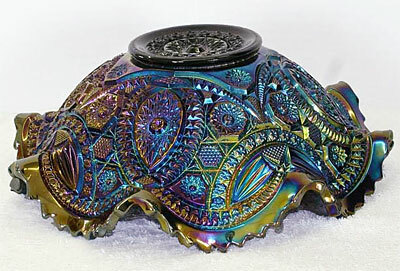 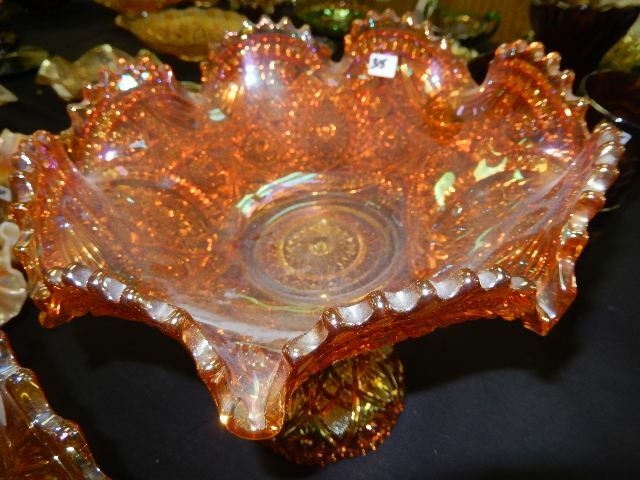 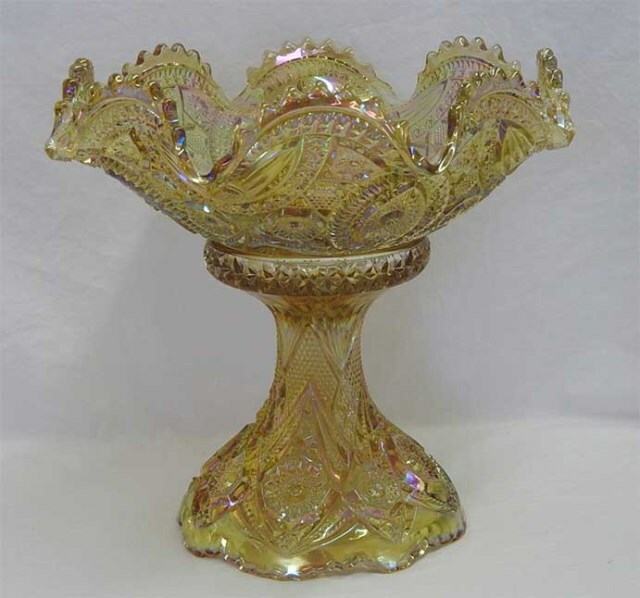 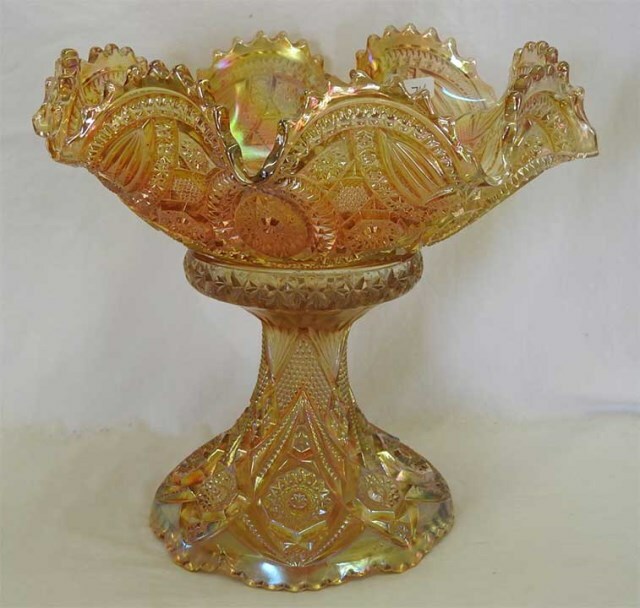 Also in 2009, this marigold bowl in a metal holder sold for $115.